There have been some serious issues in American society and its financial health is under question. 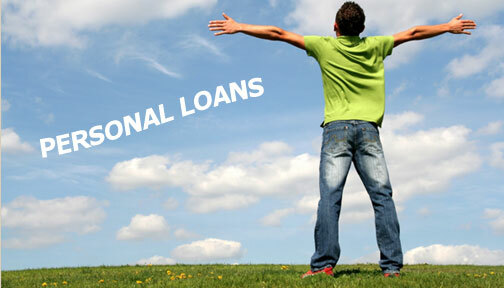 There is too much debt around but equally there are valid reasons why people want to take out personal loans. The question is their availability. Interest rates are fairly low for those who apply successfully. The financial sector has changed in recent years and for many that change is for the better because the basis of being successful is increasingly affordability rather than history. Everyone carries their credit score with them, good or bad. It is like a badge that will tell those who are interested something about you. It is something that lenders refer to when you apply for money but so do many potential employers are part of their decision process on a job application. In many cases it has become a badge that people do not want to wear. The reason for that often has its roots in the recession. When the Collateralized Debt Obligation (CDO) crisis struck there was widespread misery. Unemployment doubled to over 10% and many received foreclosure notices before then losing their homes because they could not pay their mortgages. Every time they failed to pay a bill on time that failure was entered into their credit history resulting in a reduction of their credit score. While few were entirely innocent because they had taken on credit and were unable to meet their obligations prior to the recession there was a very positive feeling about the economy and its growth. There was no reason not to have a mortgage that stretched them because property prices were rising quickly so their assets were going to grow. When the crash came and many who had thought they were in secure employment became unemployed the trouble started; and it continued until real estate prices fell. The surplus of property on the market with few buyers around ensured they were not going to start to rise particularly quickly. A population then with increasingly poor credit scores became the reality. The economy has recovered but credit scores do not do that overnight. Within the financial sector while traditional lenders look at credit scores as part of their assessment on applicants the new breed of online lender places far more weight on affordability rather than history. Remember that this is potentially a big market until more people can improve their credit score. That can be done gradually as people pay their bills on time. If they are unable to borrow then how can they start to show they are meeting their obligations? The logic of online lenders seems to be that many who previously had paid their bills on time suddenly could not continue for reasons beyond their control; they unexpectedly lost their jobs. Now that they were working and had a regular monthly income why shouldn’t they do so again? Even though the interest rate applied to personal loans based on income may be a point or two higher than the best available the point is the availability. The important thing is that if you are applying for a loan you can demonstrate that you can afford it. Ideally you will have a budget in place that shows how you are managing your finances though you do not need to show that lenders. They will make up their own minds and usually do that very quickly as long as they have the necessary information to do so; basic ID, checking account and employment details. Once you are successful in your application you will receive the money and begin to repay though equally monthly payments through the term of the loan. Lenders have no interest in what you are going to do with the money, their concern is just that you repay all that you borrowed. Each successful payment will then be a positive entry on to your credit history while entries seven years old will disappear completely. It would certainly be wrong not to strive to improve your credit score for obvious reasons. When it comes to mortgages it remains a strong factor and of course there is that issue of applying for a job where it is a regular consideration. Assuming that you are now meeting your bills on time and that includes any new quick no credit check loan then your score will be slowly increasing. As months go by your ‘’badge’’ will start to become more attractive. As long as you stay in control of your finances month by month you will soon be able to wear it with pride.